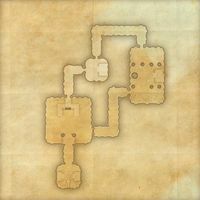 Once this place was a shrine to Boethiah known as the Gauntlet Tabernacle, a place where Chimer sailors would stop to pay their respects before sailing overseas. 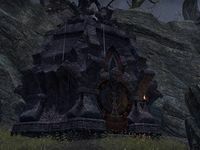 Now it is rumored to be dedicated to other Daedra: the Four Corners of the House of Troubles. Knife Ear Grotto is a Daedric ruin in eastern Deshaan, northeast of the town of Silent Mire containing Daedra. Explore and clear Knife Ear Grotto. 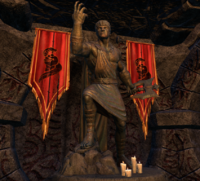 The dungeon originally contained a statue of Boethiah, which has since been removed.